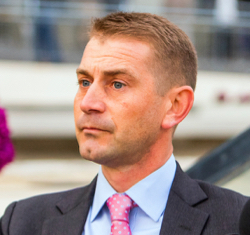 Trainer Jonathan Thomas struck big in 2018 when Catholic Boy became a dual Grade 1 winner on turf and dirt. 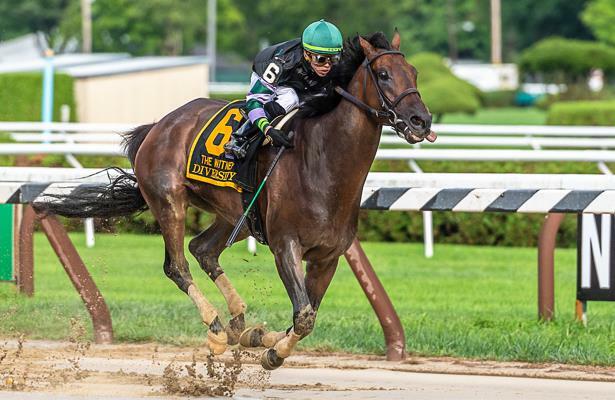 In the process, the Belmont Derby Invitational and Travers Stakes winner awarded Thomas, a former assistant to Todd Pletcher, with his first top-level victory over the summer. Thomas then received a big addition to his stable over the winter in Grade 1 winner Diversify. Last year’s Whitney (G1) hero was trained by Rick Violette, who died in October at age 65. The 6-year-old Bellamy Road gelding is campaigned by Ralph Evans and his daughter, Lauren Evans. Diversify has earned nearly $2 million from 16 starts, 10 of them wins. Diversify has won multiple New York-bred stakes and scored his first graded victory in the 2017 Jockey Club Gold Cup (G1). He last ran fifth when attempting to repeat his Gold Cup victory late September and faded after setting grueling fractions. As for Catholic Boy, Thomas is eyeing a return to the races in May or June. The 4-year-old More Than Ready ridgling has been away since finishing 13th in the Breeders’ Cup Classic, where he broke slow and was bumped at the start. Catholic Boy could run on both turf and dirt again this season.